22 Lukie Points will be rewarded to you when you buy this. 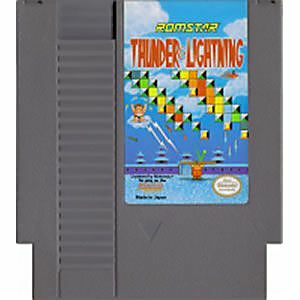 Thunder and Lightning original NES Nintendo Game cartridge only - Cleaned Tested and Guaranteed to Work! 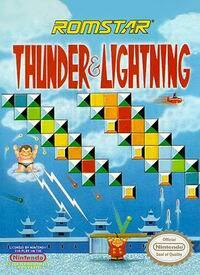 This game is awesome.If you like breakout or Arkanoid than you will dig this,it is like those games but a little better paced.There is also an option to play, 2 players at the same time,so this is cool if your chillin' with a friend and just want to have fun. 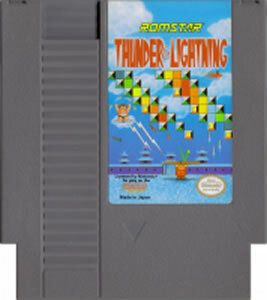 I remeber playing this as a kid and it remains just as addictive as it was then. Great game to have. Great game. I have had this before and the whole family loved it.